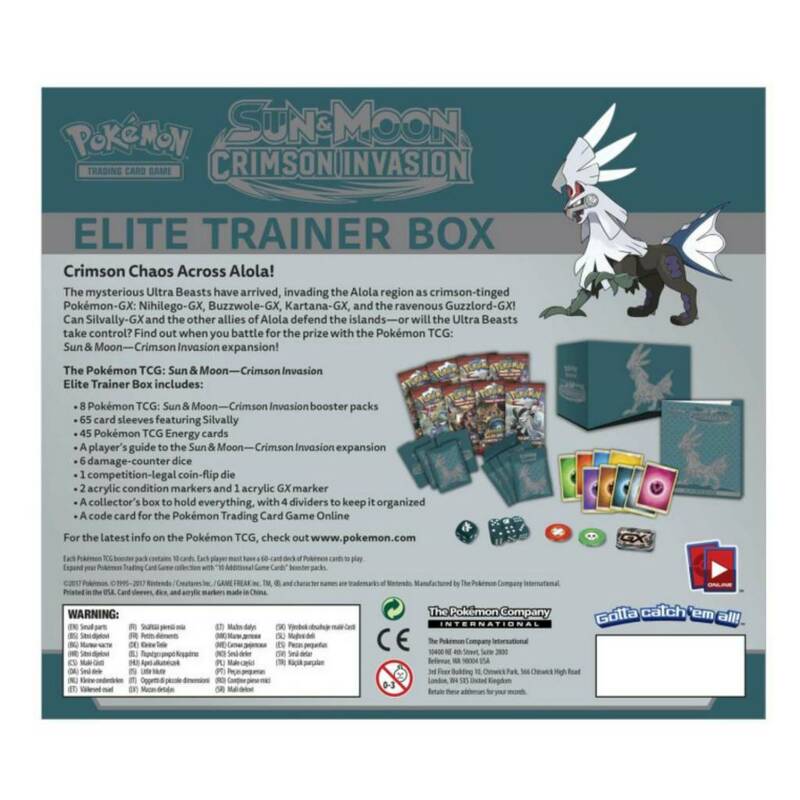 Be ready for your next Pokémon TCG invasion with plenty of cards, accessories, and tips in the Pokémon TCG: Sun & Moon—Crimson Invasion Elite Trainer Box! Featuring the mighty Silvally as it faces off against the mysterious Ultra Beasts, the Sun & Moon—Crimson Invasion expansion ramps up the excitement with amazing new Pokémon and new strategies. 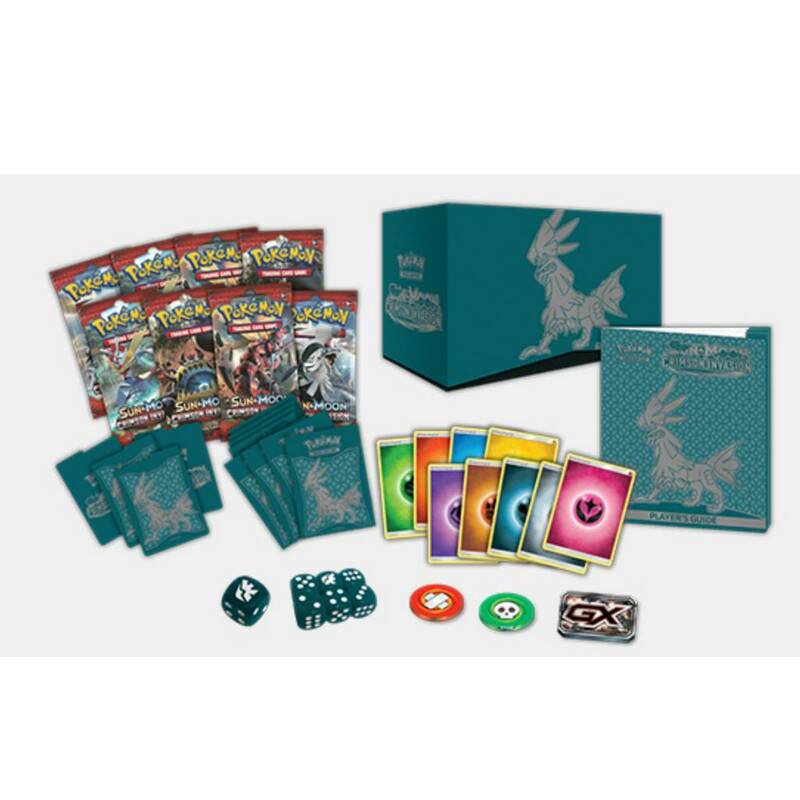 And with the Elite Trainer Box, you can capture the spirit of the expansion with Silvally card sleeves, high-quality dice and condition markers, and much more. 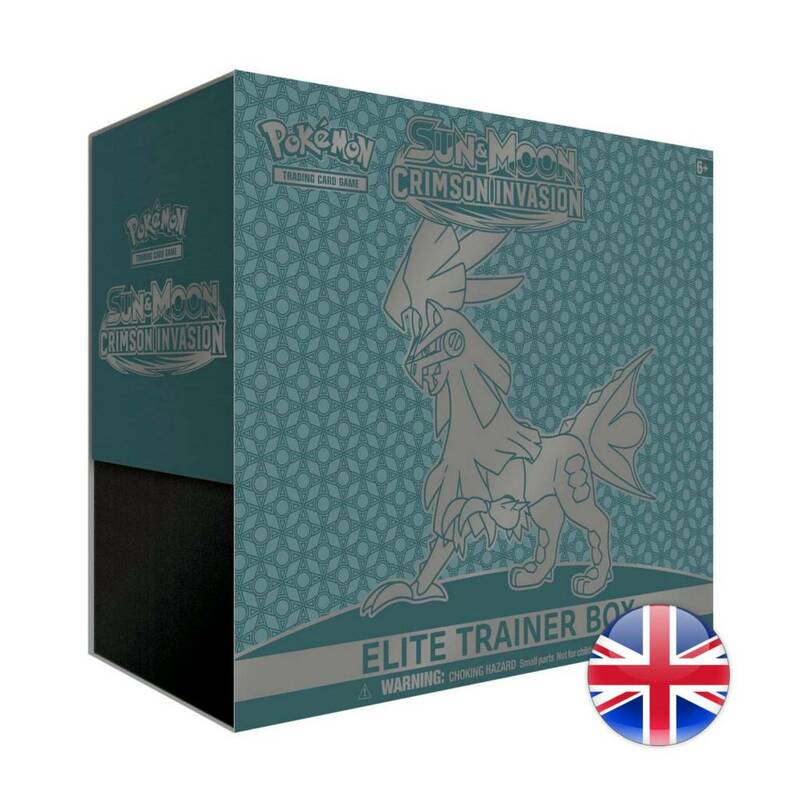 Battle bigger with the Pokémon TC: Sun & Moon—Crimson Invasion Elite Trainer Box!